Send Me a Sign begins with a teenage girl who discovers news that nearly shatters the life she once knew right before her eyes. Cancer is something we all face whether it be from the people around us or in ourselves and we all know it’s a tough thing to overcome. 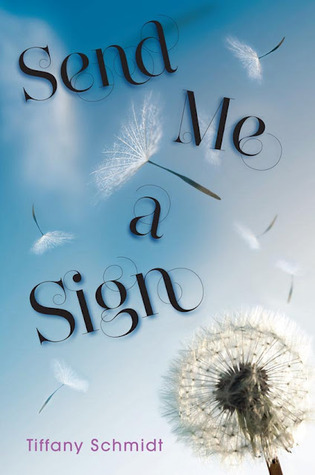 In Send Me a Sign, Tiffany Schmidt creates a beautiful and refreshing novel that allows us to experience someone literally dealing with life and death and the consequences of secrecy. Mia believes in signs. Before deciding on any big decision, she feels she needs some kind of sign to move forward. When Mia finds out she has leukemia, she continues to look for signs whether to tell her friends or whether she will live or die. In the midst of this, Mia is afraid people will pity her or run away from her because of her illness. 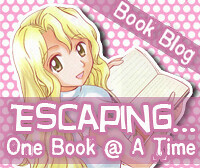 Throughout the book, Mia struggles with acceptance, alienation, and wanting to live a normal life. No matter how strong and brave Mia appeared to be, deep down she was terrified and barely holding on. Keeping up pretenses of being healthy was just slowly killing away Mia’s spirit and strength and it hurt so much to see her slowly give up. Mia tried her very hardest to keep her parents happy and even when she nearly crumbled, I always thought Mia was a good person who was just scared for herself. The romance in Send Me a Sign was one that certainly touched my heart. I loved how Schmidt was able to make me fall in love with both of the love interests. My heart swelled and raced and broke for both and I won’t be surprised if other readers have a hard time choosing as well. Ryan, who starts off as a player, later shows his true feelings. He becomes the ever faithful and devoted boyfriend that Mia could ever want. He stays with Mia even after knowing about her illness. While I loved Ryan and deeply ached for him, I could not help but adore and love Gyver even more. Gyver was Mia’s best friend from childhood and they’ve always been close. He was sweet, charming, smart and super cute. He was always supportive of Mia, but he never sugar coated his feelings and always told Mia what he felt and thought straight up. Mia cared for both Ryan and Gyver, but only one really captured her heart and seeing her have to choose and lose one was very hard to read. It was difficult because both guys were just wonderful and either one would have been perfect for Mia. The writing in Send Me a Sign is incredible. Schmidt’s writing really shows depth and power. She was able to really touch me in ways I don’t think I ever thought I could be touched. Just a few pages in and I was already feeling all kinds of heart wrenching emotions. Schmidt really sets the pace beautifully, building up to end that really got me sucked into the perspective of someone struggling with cancer. 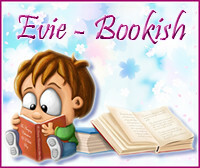 It became vivid and descriptive and really intense, I could not stop myself from reading. I really loved how Schmidt brought in the fear of death, of giving up, losing hope and then believing and fighting for life. She really weaves in Mia’s superstitions into the story very well. Not only does this book tackle cancer, but it also tackles relationships, friendships and family. Overall, Send Me a Sign was fantastic novel about the belief in fighting back, the meaning of communication and learning what you really want in life. It’s a book that will definitely capture the hearts of many and more. I got this book from Netgalley as well, and I still need to read it! I'm extremely happy that you loved this book so much-- it sounds really beautiful and heart-wrenching! The love interests--while it IS a love triangle-- sounds really genuine and realistic. I can't wait to read about both boys! Lovely review, Jessirae!